If you haven’t heard already, Jessica Biel is starring in a new show called The Sinner which starts tonight on USA. Here is the synopsis, book purchase link and the trailer for the show. Let’s all show our support for this book adaptation by watching! It looks great. On a sunny summer afternoon by the lake, Cora Bender stabs a man to death. Why? What would cause this quiet, kind young mother to stab a complete stranger in the throat over and over again, in full view of her family and friends? For the local police, it’s an open-and-shut case. Cora quickly confesses and there’s no shortage of witnesses, but those questions remain unanswered. Haunted by the case, the police commissioner refuses to close the file and begins his own maverick investigation. So begins the slow unraveling of Cora’s past, a harrowing descent into a woman’s private hell. 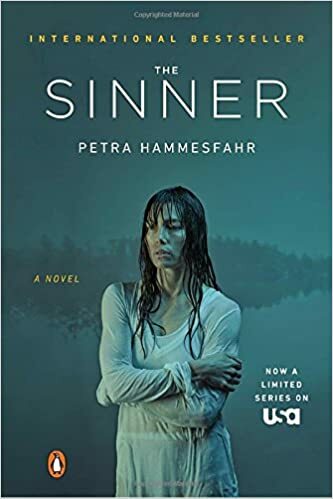 A dark, spellbinding novel, where the truth is to be questioned at every turn, The Sinner has been a bestseller around the world, and is poised to be a summer smash with the coming TV adaptation, hailed as one of the most anticipated shows of the summer. Previous Previous post: I have a challenge for you!